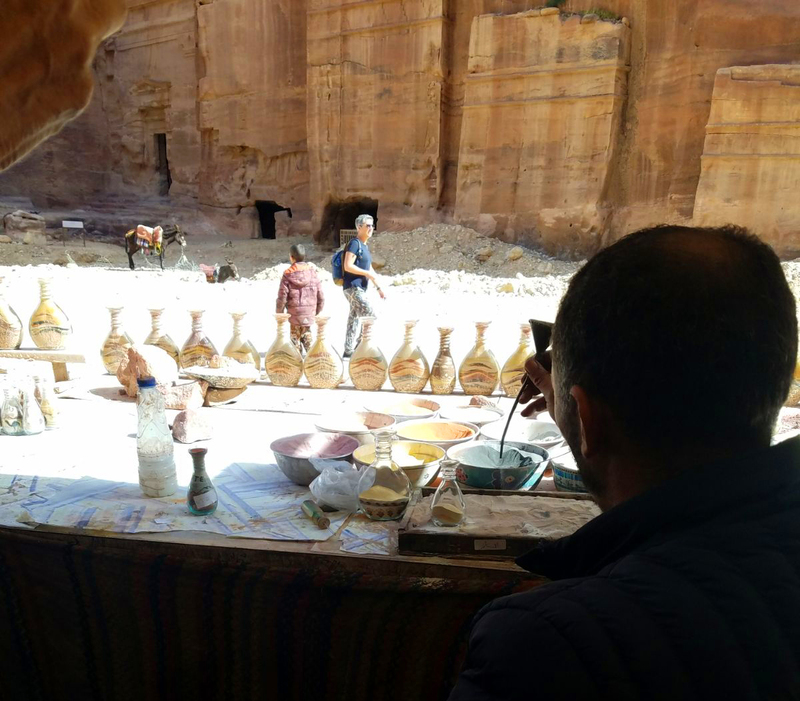 Abercrombie & Kent Group Travel Specialist, Lisa Sawers, Sales Manager, Megan Middleton and Marketing Specialist, Mason Crozier just returned from an eight journey through Jordan. We asked them some questions regarding their trip. This was your first time in Jordan, what were you expecting? We expected a country that is rich in history, with fascinating landscapes and culture and we knew it was a small country, so were hoping to see as much as possible during the time we had there. Our first impression was how friendly the locals are and we were fortunate to visit the Women’s Cooperative Society ceramic and pottery workshop in Iraq Al Amir as one of the unique experiences A&K offers. This was a great opportunity to interact with the local women and learn about the methods used, the glazing techniques and the development of their product before viewing their showroom. The visit culminated in a traditional homemade breakfast in the courtyard. It was delicious and started our love affair with Jordanian food - hummus, spinach parcels, varied tomato dishes and the use of olive oil, thyme & sesame seeds (sumac) on bread. The treasury at Petra, one of the new seven wonders of the world, was the main highlight, and it is one of the main reasons people travel to Jordan. The sheer size of it was dazzling and it took us approximately two hours to walk through it. The landscapes of Wadi Rum were unbelievable and came as a delightful surprise. We really enjoyed our time there. Spending our last day in Jordan floating in the Dead Sea, was definitely a “wow” moment and a wonderful, relaxing way to end the trip. What advice would you give to a prospective traveller? While the main attraction in Jordan is Petra, the entire country is rich in history with dramatic landscapes, a captivating culture and friendly people. Because it's such a small country, it can be easily covered in a week but while travellers are in the region they should consider combining it with neighbouring Israel or Egypt. Was there something about the destination that you were not expecting? Definitely. We underestimated the sheer size of Petra and had not expected the seclusion and remoteness of Wadi Rum which was one of the main highlights of the trip. Looking back, what type of traveller would be drawn to Jordan? 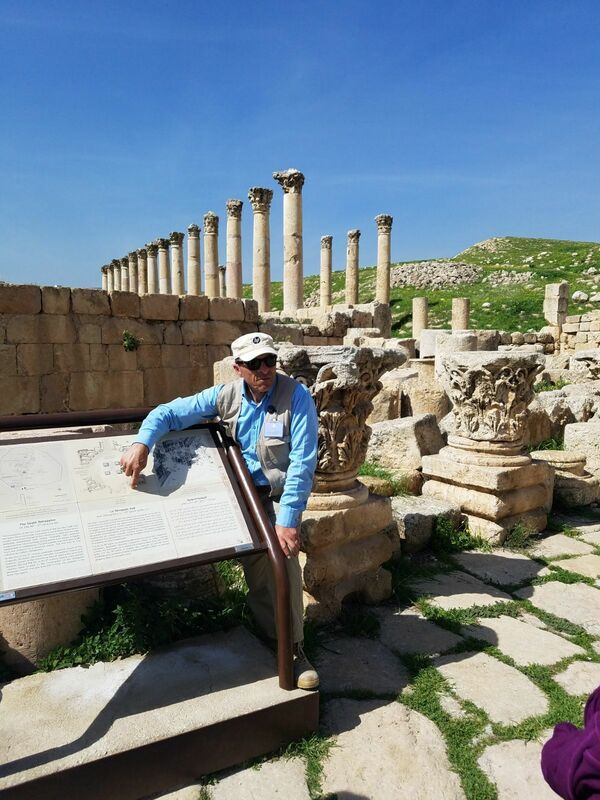 Jordan suits a vast range of travellers especially those with an interest in history. An ancient land, Jordan has traces of many civilisations - Nabataean, Roman, Ottoman and British to name a few - and its historical monuments and sites are amongst the world's most impressive. Those seeking relaxation during a holiday will be drawn to Aqaba and the Dead Sea, where some beautiful resort-style accommodation can be found and mineral-rich waters to soak in. Travellers seeking an escape from the hustle and bustle of everyday life will revel in a desert experience at Wadi Rum where the landscapes are lunar-like and the hospitable Bedouin provide a fascinating insight to the local culture. What were your top Jordanian experiences? Number one is Petra and it's easy to see why it has been named amongst the ‘new 7 wonders of the world’. It was an amazing experience, which lasted about 2 hours – walking from the Petra Guest House to the entrance and then through the Siq into the Treasury. We also climbed up to the Monastery, which takes around 30 minutes to get to the top. The Monastery trail is 2.5km and is considered a hard climb with approximately 1,000 steps. Was there a person you met who transformed your experience? Yes, our guide Zachariah (Zach) Salameh was a standout and he is considered one of the best in the country. He was so knowledgeable, extremely friendly and completely flexible with our itinerary, adding in extra places of interest along the way, while still ticking off all the main attractions and keeping to our original schedule. Did you learn something special or interesting? During our time in Petra, we met the son of Marguerite van Geldermalsen, a Western woman who fell in love with and married a Bedouin, living with him in a cave with no facilities, learning to fetch water by donkey, bake bread daily and live like a local. They started a family and her son shared their story with us which was fascinating. The book 'Married to a Bedouin' records the tale and is available for sale at his shop. 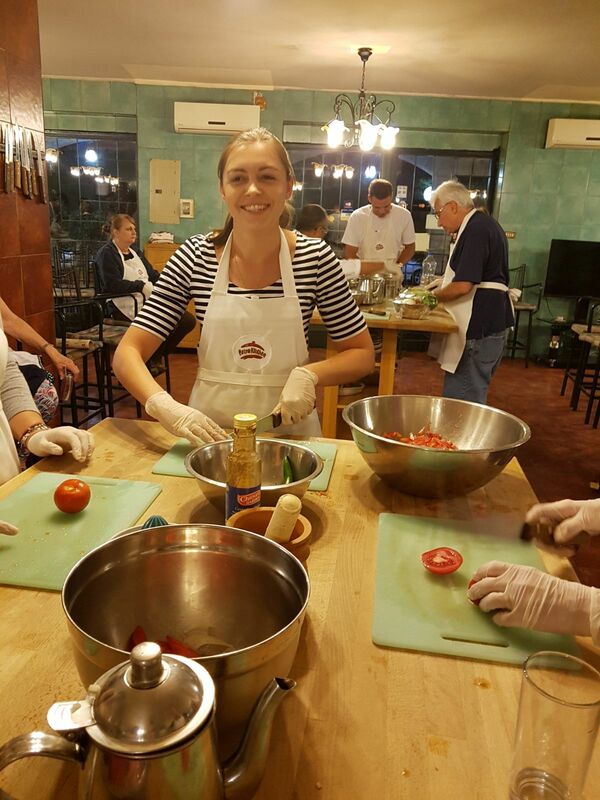 We also learnt how to cook traditional Jordanian food in a cooking class at Petra Kitchen. It was a great experience, meeting people from all over the globe and enjoying the meal together afterwards, it was fun and delicious. Did you buy something special to bring home? A handcrafted mosaic place mat from Nebo’s Pearl was a favourite memento. We visited the workshop where the mosaic work was being traditionally and painstakingly done and were shown each step in the process from cutting the stone to polishing the finished artwork, it was incredible. The other souvenir was a bottle of coloured sand which was acquired at a shop in Petra. It was fascinating to watch the skill with which the craftsmen create these wonderful artworks from scratch. To find out more about A&K in Jordan, click here.